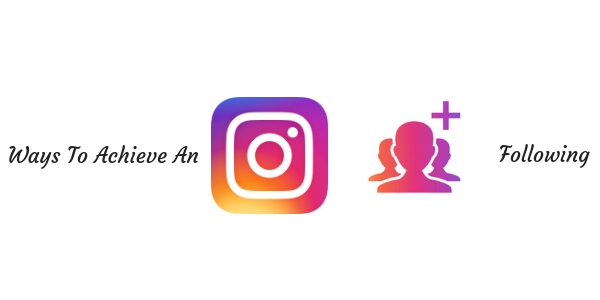 What You Can Do To Build An Instagram Following. Unlike Facebook and Twitter, it can be much more challenging to get followers on Instagram. That’s because users are much more choosy on who they want to follow and unlike Facebook and Twitter there are no “Like” or “Follow” type advertising campaigns that you can put money behind to specifically increase Instagram followers. Those who post at minimum of once a day on Instagram are more than likely to see their followers increases. In fact, your follower growth rate can double by simply posting up to 7 posts per week! Instagram has evolved into much more than a photo-sharing social network with filters. There are a lot of new features that have been added on including the ability to post videos, Stores and even go Live. Utilize these features as others already have. (There are over 250 million video based stories being shared everyday alone). In addition, going Live pushes you to the “front of the line” as you will achieve prime real estate compared to other content that is being shown. Hashtags matter on Instagram but they should be strategized. Don’t just spam the post with hashtag words or phrases that no one ever heard of or ever used before if you think that is a way to obtain new followers. A good rule of thumb is to use between 9 and 11 hashtags in each post for maximum engagement and exposure. In addition, you can gain a much larger audience by simply using a location tag in all your posts. While many of the third party desktop posting companies (for example, Hootsuite) don’t have that functionality it is always a good idea to manually go back into Instagram on your phone and add that location tag! Remember not all Instagram content has to be original. It’s okay and encouraged to share other user-generated content from both Instagram and other spots on the web. Just make sure you credit the original creator. While these are just a few tips on how to extend your reach and obtain more followers, there are a lot of other factors and variables involved. That includes closely examining your insights to see when the best times are to post and which types of content are resonating the most with your users. As you can see not every social network is the same and they each have their best practices for achieving success. That includes building a following on Instagram. For additional tips and assistance in creating a personalized strategy for your brand or business contact The Interactive Imprint by calling 954-254-1650 or visiting TheInteractiveImprint.com.